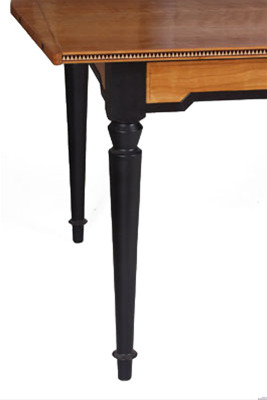 Natural cherry dining table with maple, ebony and bubinga edge inlay. Available with or without center or edge inlay. Also available in other woods, both natural and stained. We sometimes do these without the painted details too. Other inlay patterns available. Price approximate .... final cost depends on size, wood type and detailing.